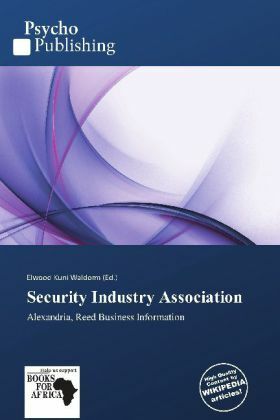 The Security Industry Association is a trade association which represents "the business interests of manufacturers, service providers and integrators of electronic physical security equipment". It is based in Alexandria, Virginia. The association mission includes marketing, standards-setting and R&D. It sponsors the ISC West and ISC East trade expos with Reed Exhibitions, a subsidiary of Reed Business Information. In 2010, SIA and the security industry were managing to recover from the economic downturn and, among other specifics, addressing emerging international market in reports it published for the China and Brazil markets.